South Florida is home to billions of pests. Sometimes these pests find their way into your home or business and can quickly become a nuisance and potential health risk. With Southeastern in your corner, you get a pest-free environment. We eliminate pests from the inside out using our proprietary Integrated Pest Management method. 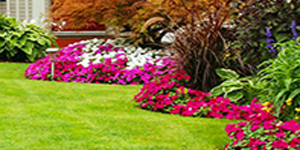 Our expert pest control technicians will solve your pest problems by locating your pests’ hiding places and breeding grounds. 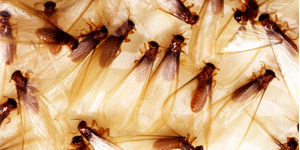 Whether its ants, roaches, spiders, fleas, ticks or anything else, Southeastern Termite and Pest Management will eliminate these and other pest problems, guaranteed. Should these bugs return, we will gladly re-treat at no additional cost. Because effective pest management is a team effort, it is important that home and business owners understand the steps necessary to aid in the prevention of unwanted pests. Our technicians are ready to provide you with the necessary understanding of what conditions may be contributing to your current pest problems, and make any suggestions to prevent future infestations. A thorough inspection of your home or structure will allow our Expert Pest Control Technicians to indentify your pests, and locate all affected areas. After the inspection, we will recommend a customized pest protection plan that will eliminate all of your pest problems. After the initial service, we will return regularly to provide additional exterior treatments, which means no waiting for the bug-man.